Sizes: 1400 x 1400 x 520mm. Features steel Rod reinforced rims. The Venice is a square bath large enough to provide bathing pleasure for two. 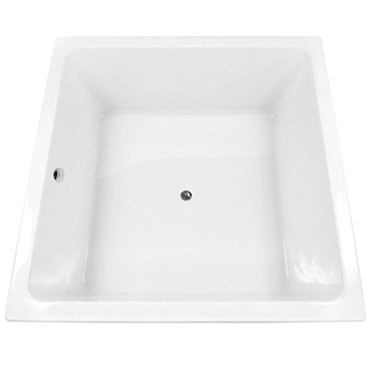 This freeform bath is a superb match for the shapes of other suites in the bathroom. Venice comes standard with galvanised base support frame and overflow. Their baths are manufactured using 100% Sanitary Grade Lucite Acrylic.